Simply Gluten Free magazine article, originally published on March 27, 2018, reviewing Little's Cuisine Chili Lime Seasoning Blend. 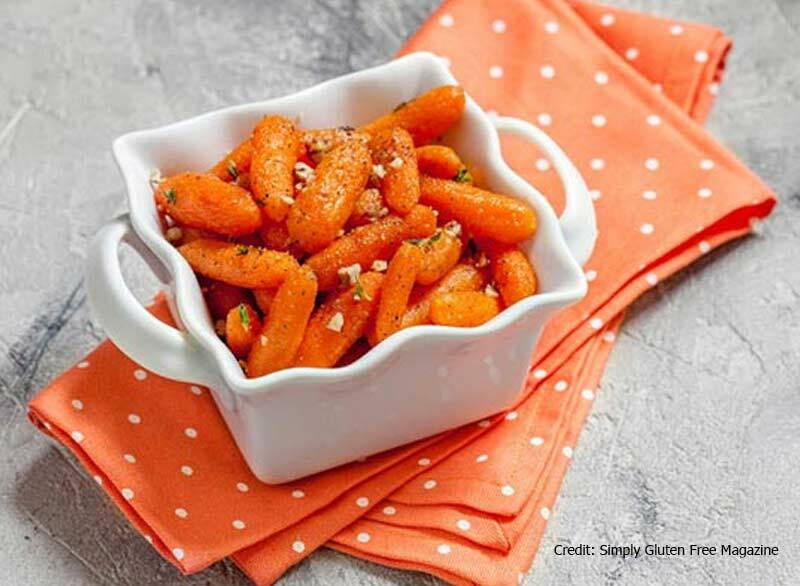 The article features a great recipe for Zesty Chili Lime Carrots. Just in time for Easter! "A few years ago, I went to dinner at a friend’s house, where she served a delicious dip that had such complex flavor, yet she swore it was a simple (but top secret) family recipe. She’s a great cook, but she’s never been the type to make all her food completely from scratch (she’s a very busy person) so I had a hunch she was using a shortcut and just didn’t want to tell me. Some people mistake me for a foodie because I write a food blog, but I love all kinds of food and I’m definitely not a food snob! I not only appreciate shortcuts, I love using them regularly. I mean, this blog is called SIMPLY Gluten Free, after all!..."